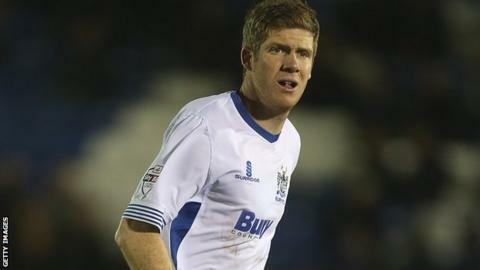 Midfielder Andy Procter believes he has returned to Accrington Stanley a more complete player. The 31-year-old featured over 400 times for the club during a 10-year spell before joining Preston in 2012. Procter then had a season with Bury before returning to Stanley this week. "I come back a better player. I'm probably a little more disciplined than I was when I left. I' d like to think it is something I've added to my game," he told BBC Radio Lancashire. Procter arrived back at the Crown Ground with win-less Accrington bottom of League Two, and they are now out of the Johnstone's Paint Trophy as well following Tuesday's 3-1 home loss to Carlisle United. But he is undaunted and looking to help them start climbing the table. "I've captained the previous two clubs after I left here. Hopefully I add experience and know-how," said Procter, who is set to make his second Stanley debut in Saturday's League Two home game against Tranmere Rovers. "We have always flourished when we have been labelled as underdog. We have always enjoyed proving people wrong."